February 7th - Wolfgang Voigt, former Deputy Director of the German Architecture Museum (DAM), Frankfurt. The New Frankfurt. February 14th - Ita Heinze-Greenburg, Professor at ETH, Zurich, The European Academy of the Mediterranean. Coinciding with the publication of Ita’s book, she will describe a visionary project of the early 1930s led by Dutch architect Hendrikus Wijdeveld and French painter Amedée Ozenfant, with Erich Mendelsohn, to establish a multi-disciplinary school of art, design and craft in the South of France. Although never implemented, it represented an alternative pedagogy for Modernism to that offered by the Bauhaus, involving the English contributors Serge Chermayeff and Eric Gill. February 21th - Kathleen James-Chakraborty, Professor at University College, Dublin, Reform not Revolution: German Church Architecture 1919-1968. Author of a major book Erich Mendelsohn and the architecture of German Modernism (Cambridge 1997), Kathleen James-Chakraborty has also written in German Architecture for a Mass Audience (Routledge 2000) about the underlying communal and spiritual basis for interwar German architecture. February 28th - Alan Powers, London School of Architecture, Bauhaus Goes West. After the closure of the Bauhaus in 1933, its influence spread by reputation and through the migration of some of its chief figures to Britain and the USA. 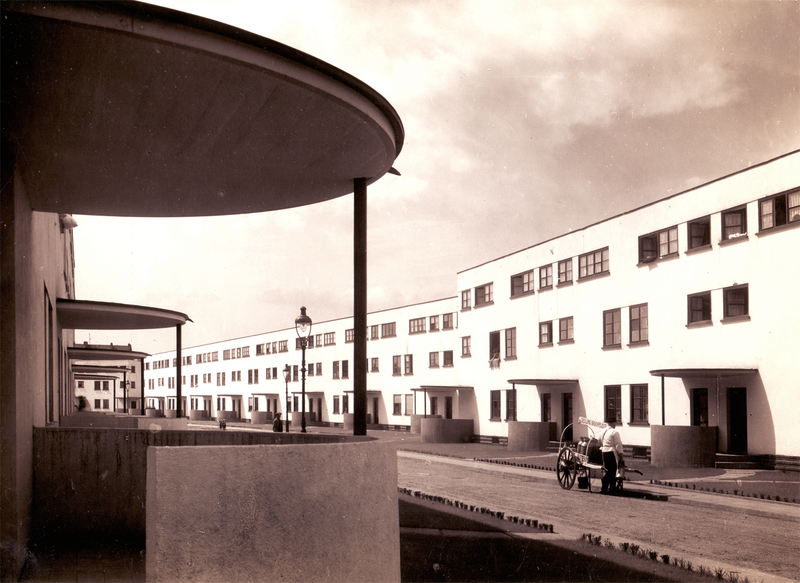 In his new book, Bauhaus Goes West (Thames and Hudson, 2019), Alan has assessed the real impact of this much-mythologised episode, and way that conceptions of the Bauhaus were both idolised and demonised in the years that followed. March 7th - Rachel Rose Smith, Tate Britain, Optimism and aging: Constructive art and thought in London and St Ives 1935–45. Rachel has curated a special display at Tate Britain to mark the Bauhaus centenary. She will discuss the meaning of term ‘Constructive’ in London during the mid-1930s and its adaptation by Naum Gabo and Barbara Hepworth to express their long-term vision for art and life in the years that followed. Monica Bohm-Duchen, independent art historian and initiator of the nationwide arts festival, Insiders/Outsiders: Refugees from Nazi Europe and their Contribution to British Culture. She has edited a book of the same title (Lund Humphries) and will consider the experiences of the artists who found refuge in this country from Nazi persecution, examining not only their achievements and their legacy, but also the challenges – not to say obstacles – they faced on their arrival. All lectures are held on Thursdays at 6.30pm in the Gallery at 70 Cowcross Street, London EC1M 6EJ. Admission includes a glass of wine. Publications will be available to purchase on the night.